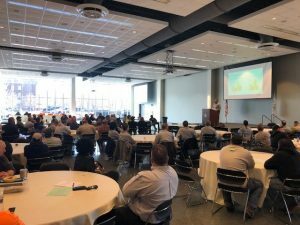 On Friday, April 27th, Western Utility hosted its annual safety breakfast at the International Union of Operating Engineers Local 399 Training Center. A traditional breakfast was served by triaSorelle Catering and Events in the Bridgeport neighborhood of Chicago, IL. The purpose of the annual safety breakfast is to start the construction season off on the right foot and reset expectations for the coming year, as well as to communicate our performance and achievements from the previous year. A big highlight of this year’s event was sharing with the team just how successful of a year 2017 was. In 2017, we only experienced one recordable injury, resulting in a 0.82 Total Recordable Incident Rate and culminating a 468 day run with no recordable injuries. 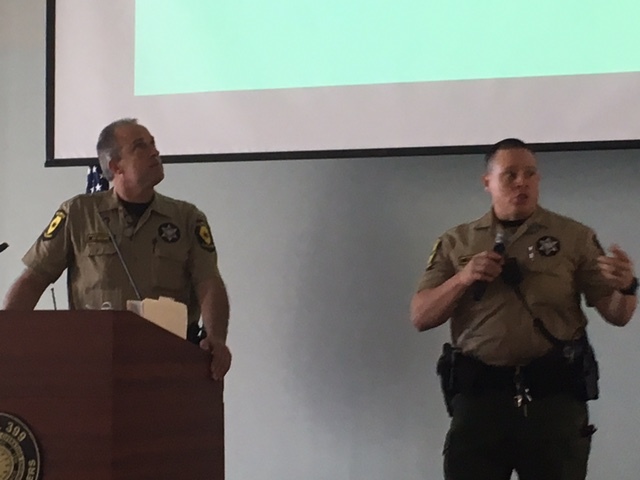 Western employees also enjoyed an educational presentation by the Illinois State Police regarding commercial auto safety in Illinois and CMV Safety. Topics covered were electronic logging devices, pre-trip and post-trip inspections, commercial driver’s license requirements, including endorsements, and restrictions and load securement. The event was closed out with a motivational video and very personal and uplifting presentation by Company President, Tim Hayes, which outlined goals and expectations for 2018. 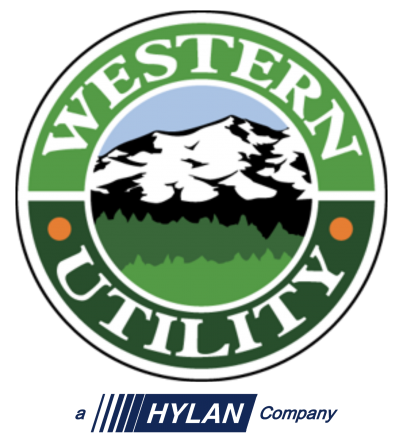 Hayes communicated on a peer-to-peer level of why everyone’s safety is important to him personally and what each member of the Western Utility team should do to ensure safe performance and drive continuous improvement in all areas of business. To put a wrap on the event, Western gave away six valuable door prizes. We look forward to our safety breakfast next year. Now let’s all get home safe!